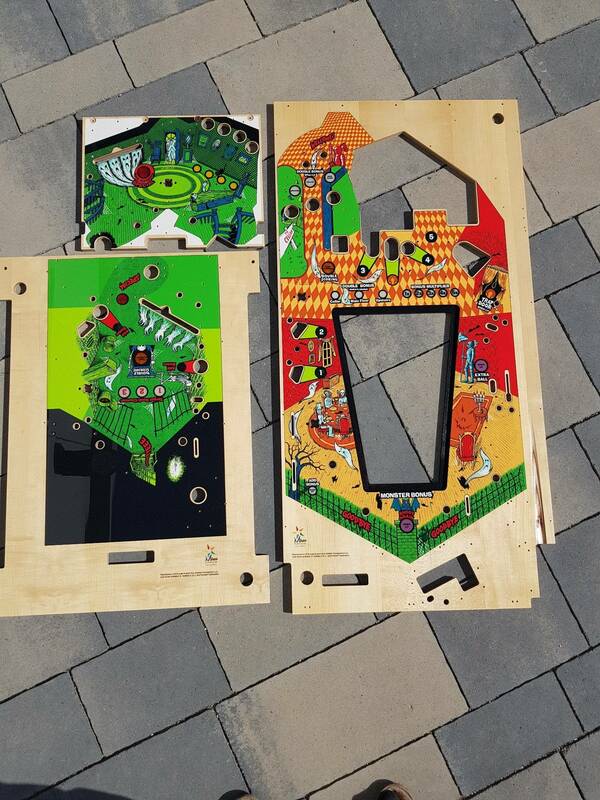 finally the Haunted House playfield sets are finished and available right now. The set is 1099 USD shipped to the USA, Australia is extra 80$ shipping. 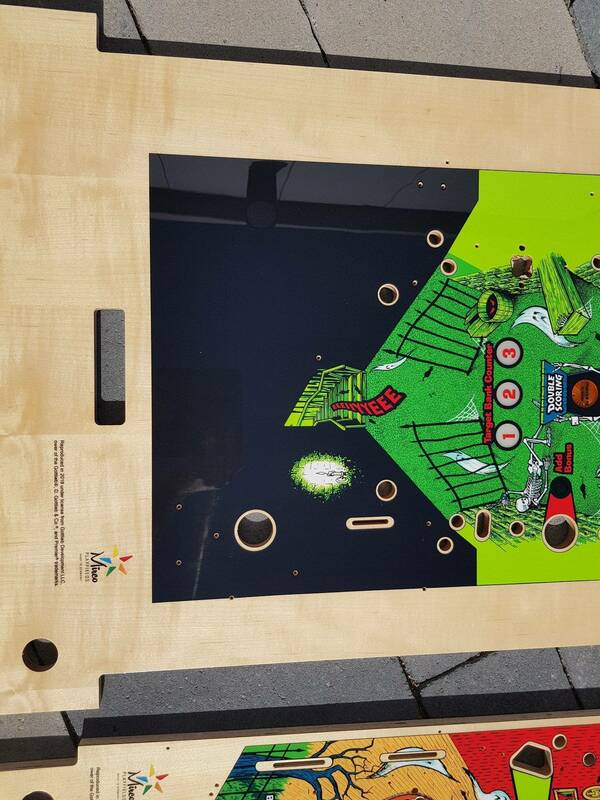 Our playfields are made with high tech robots and the clearcoat is custom made and applied with a robot. 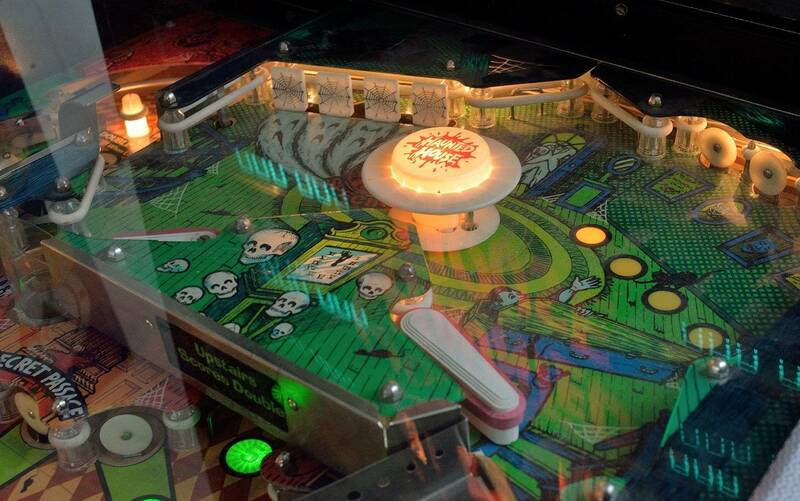 So all playfields recieve the exact same amount of a perfect mixed clear which has very little shriking over time. 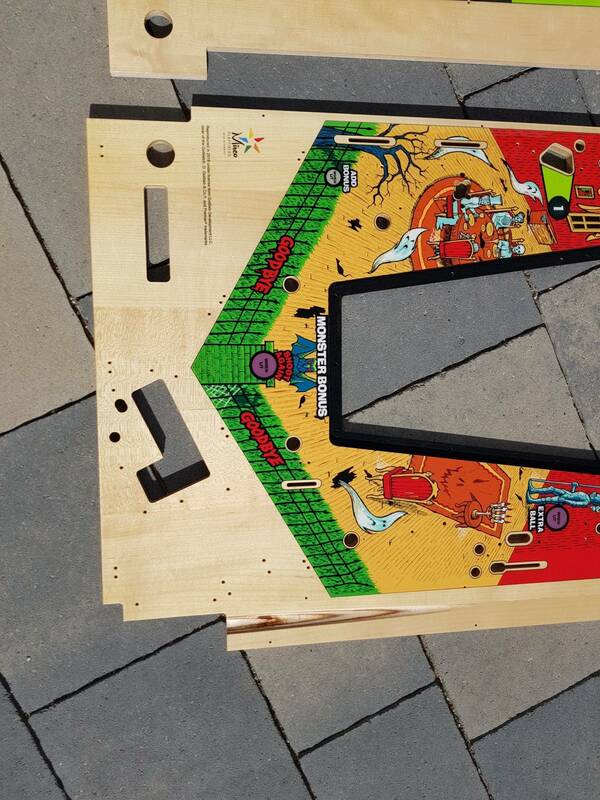 The clearcoats we use are not available on the regular market and the mix is specially made for pinball playfields. 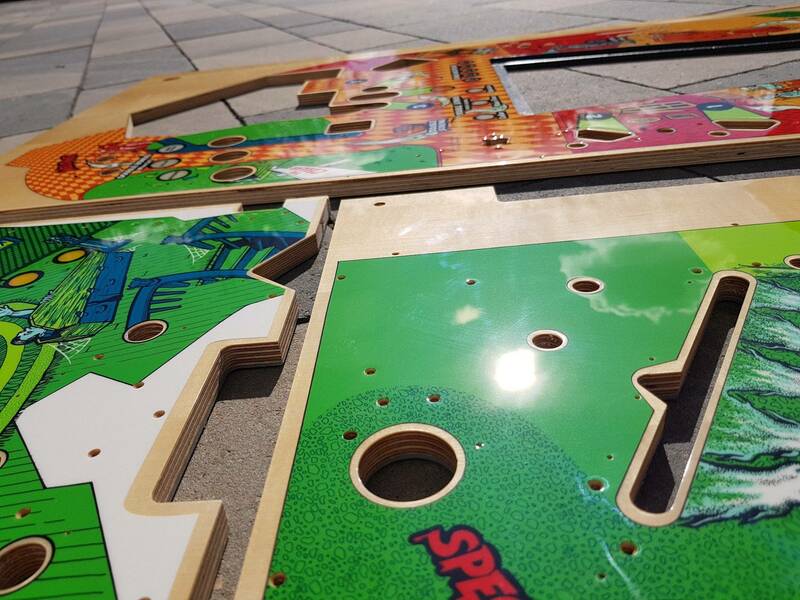 As all playfields - they are completely drilled and dimpled - ready to install immediately. There is no need to keep them in storage for a while. As soon as I ship them they can be installed. 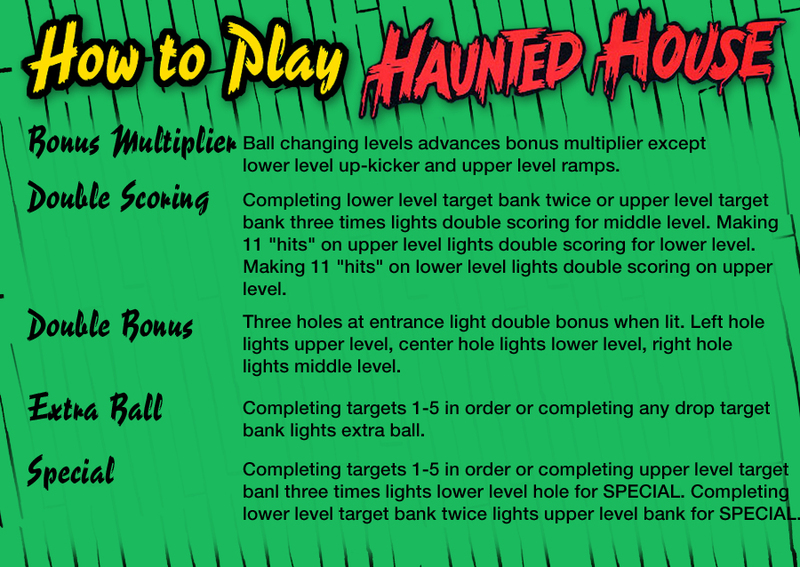 Please check also which other playfields are available. If you buy two at the same time you get 20$ off each, at 3 same time 30$ off. 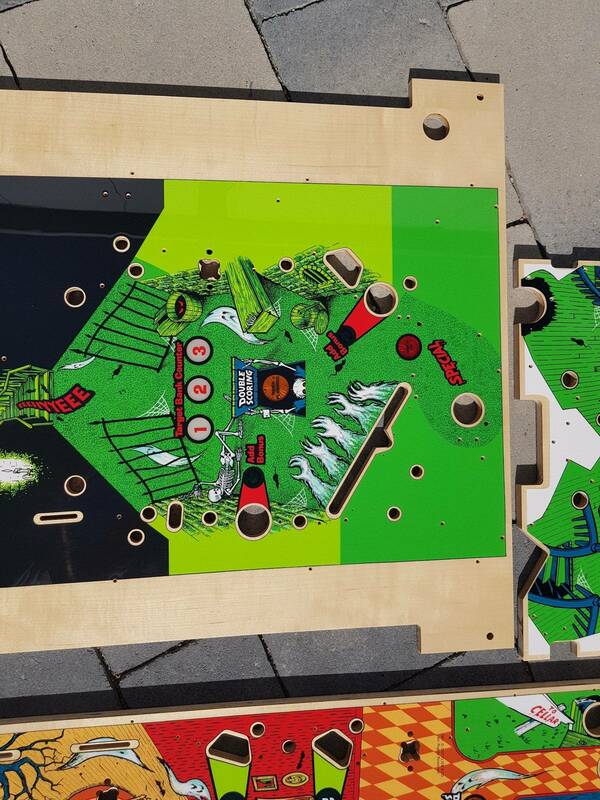 Next playfields which will be available shortly are Black Hole and Whirlwind. 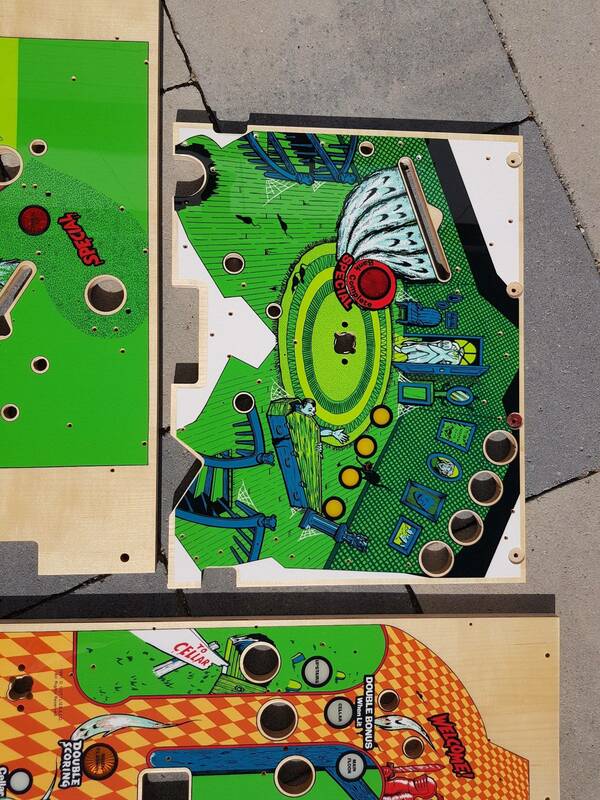 All available playfields are listed in my pinside shop - all are in stock and ready to ship. Fantastic work - delighted to see these now available. 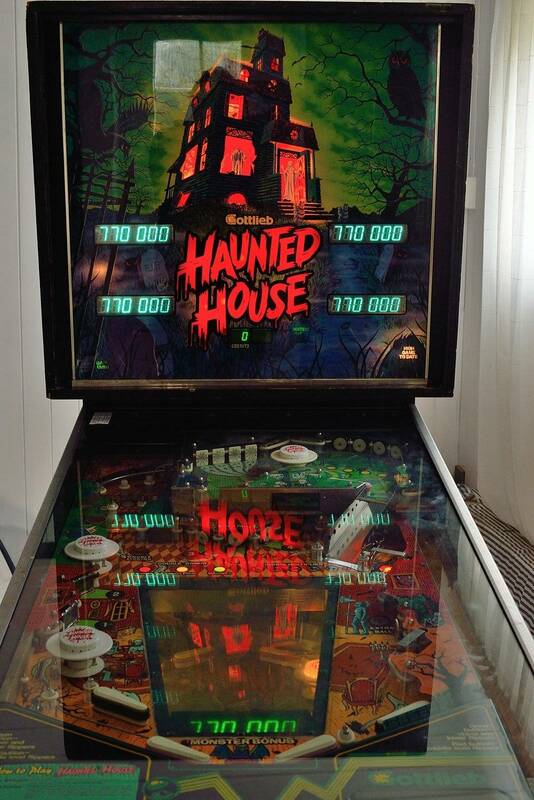 Would love to own an HH one day - it was one of the first games to get me started on Pinball. Wow this is tempting. The only one I remotely need though is the main....hmm will have to think about this. I'm very sorry but due to licensing restrictions I can sell them as sets only. 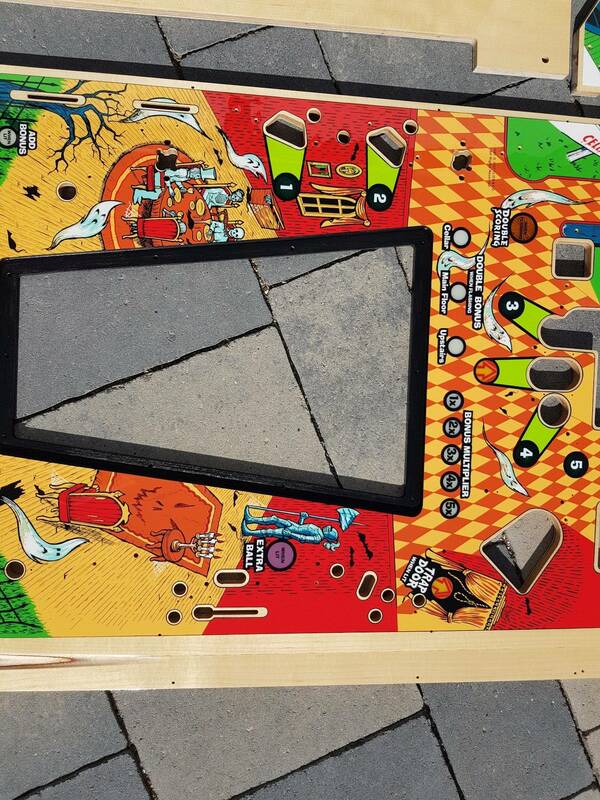 Great day for pinball! Just a few years ago I thought these would never get made. The licenser gets more money when the full set is sold. That is possibly true but considering the size of the set I thought it was already really fairly priced at a just a $100 more than the other Mirco Playfields. More raw materials used in this set and higher shipping cost. A repro manufacturer also doesn't want to break up sets. That ends up leaving lots of unsold parts. Yea, as a set compared to others, that is a great price. I understand that, but they could run just a single field. Great to see these done. dont need one anymore but im sure alot of people do. How do you get the main field Window? I'm currently testing how to get the color of the main window. I will do a test print for them either tomorrow or the day after. If that works the way I think it should I will have them available mid next week. Same would be available for Black Hole then. I will check with the licence holder if I can do a deal for single playfields but I doubt that it is a good idea to replace only one of them. The difference will be huge. I have used sets here and they are badly faded. On Black Hole the color difference is way worse than on Haunted house and the blue is mostly a greenish blue. If you compare pics of the flyer to the game pics.... The flyer matches the pantone colors. 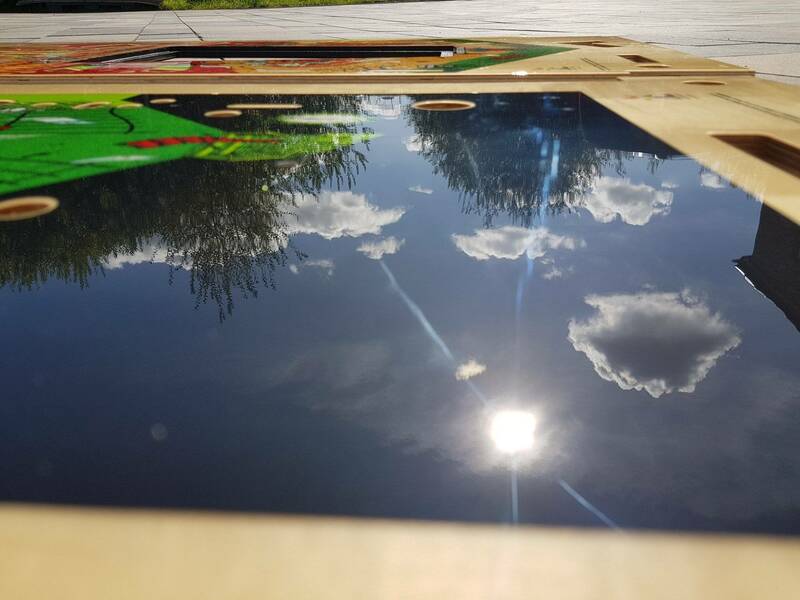 I saw some place that had the windows in stock a few weeks ago. The veneer strips on the plywood are really evident. 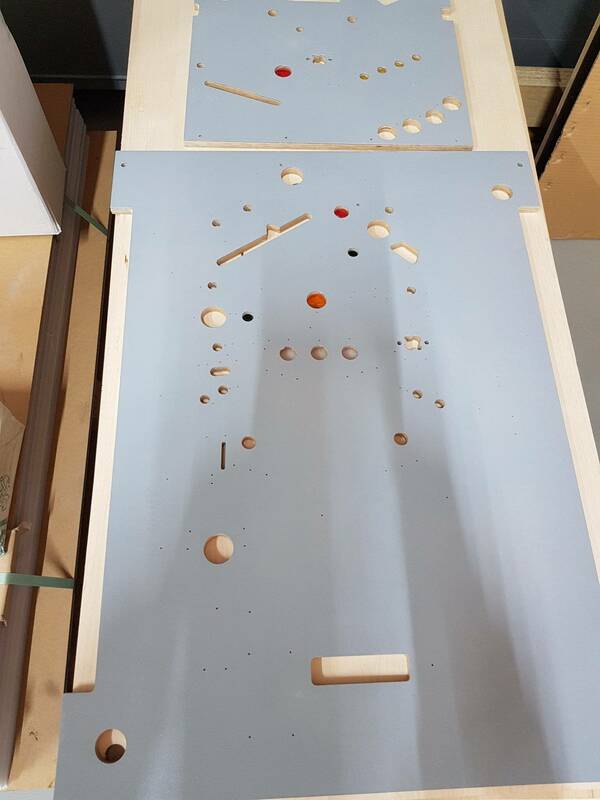 What are the details on the plywood you use? Ordered for this beauty. Main is worn, attic and cellar still good. gorgar73 , love your instruction card. Did you print that yourself? 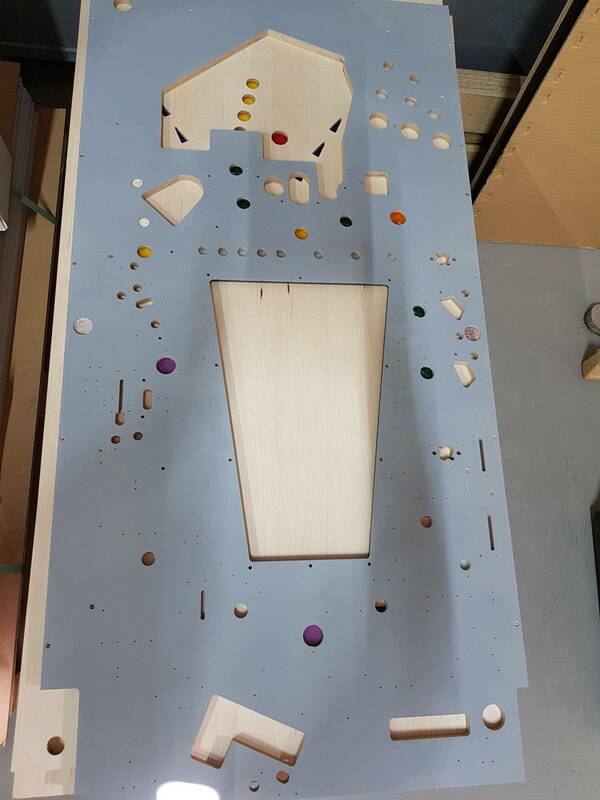 Will you be making the main and upper playfields for Spirit and selling them as a set also? 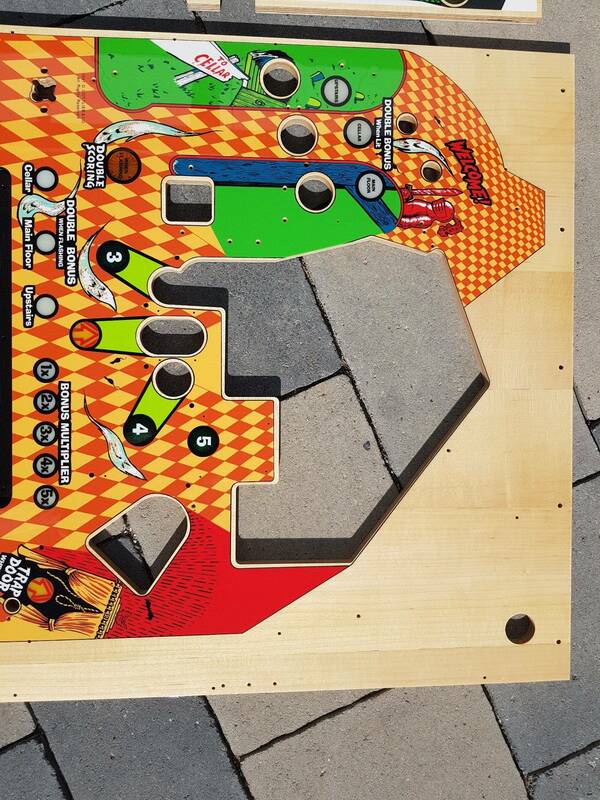 And another person asked about the plywood details. I would also like to know the composition (birch, maple, oak. etc. 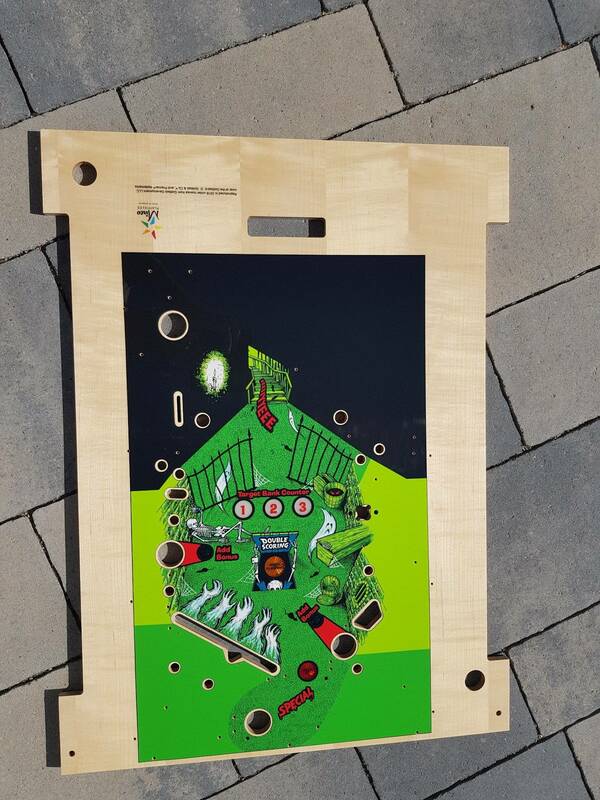 ), what the thickness of the plywood is, and ANY other details of the plywood itself you would care to divulge to potential buyers before making a purchase. Pulled the trigger today. Hope they arrive in good shape.